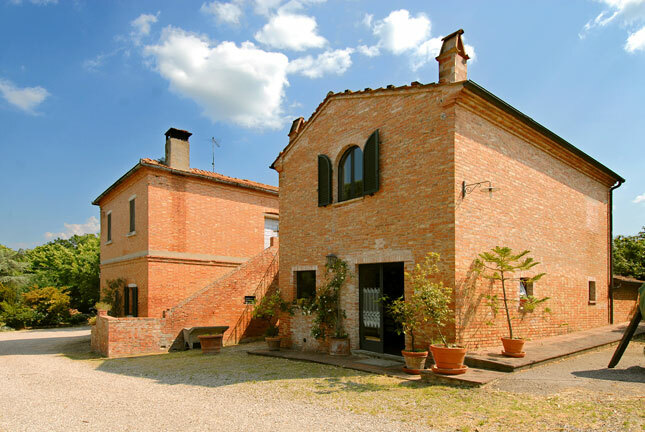 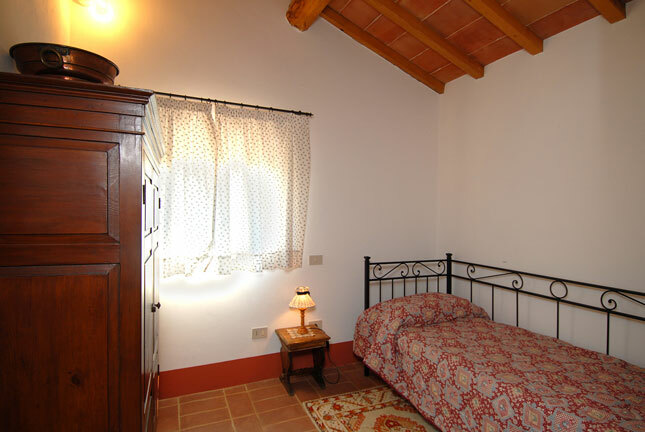 Il Molino is a delightful independent apartment situated within the Sant’Agnese Estate Manor House park. 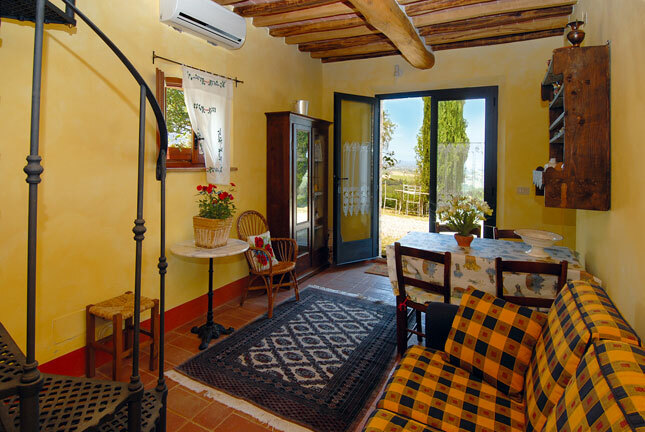 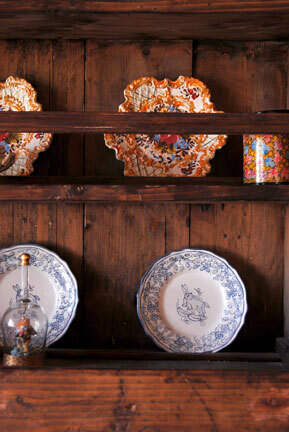 With its terracotta flooring, Il Molino is warm and welcoming. 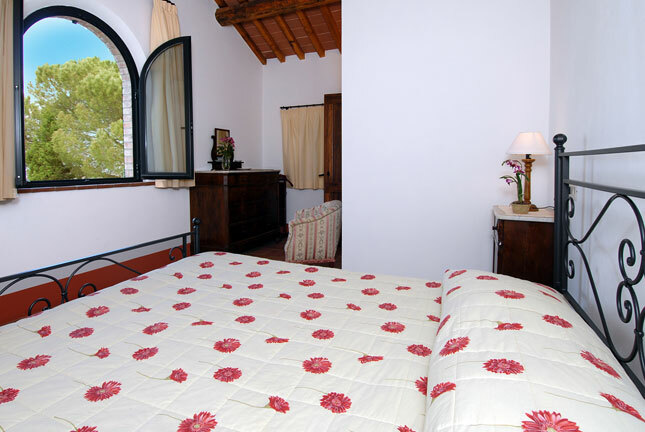 The apartment has recently been restored and elegantly furnished. 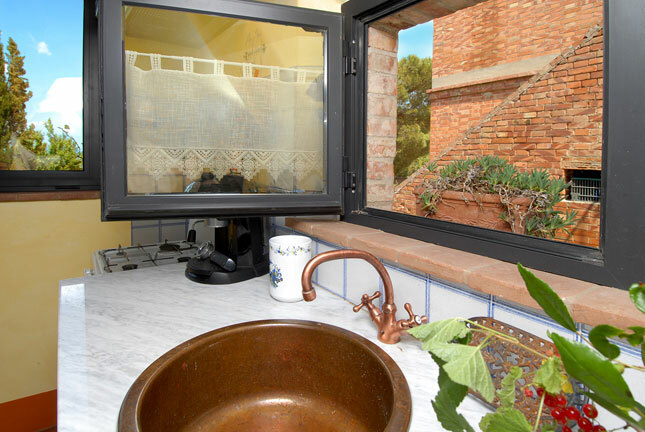 From the garden, guests enter a living room/dining room and adjacent kitchenette equipped with a traditional wood-burning oven. 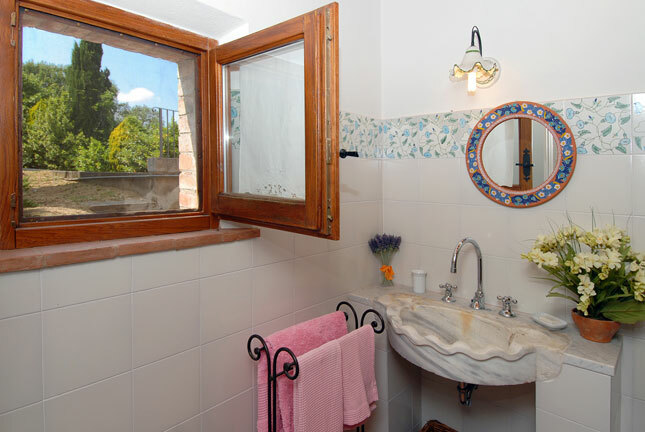 Remaining on the ground floor, there is a bathroom with shower, and a characteristic wrought-iron spiral staircase leading to the two bedrooms, one double and one single. 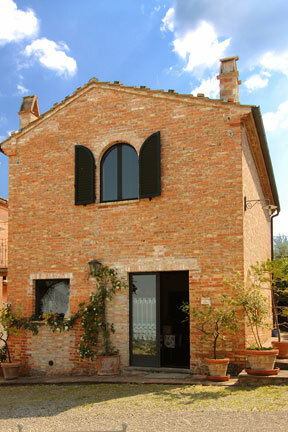 On the first floor there is also a second bathroom with shower. 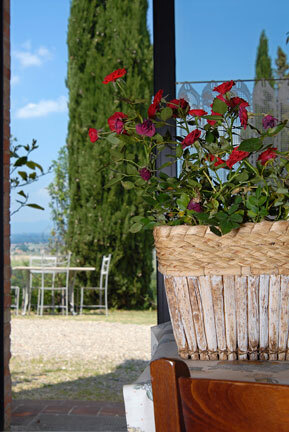 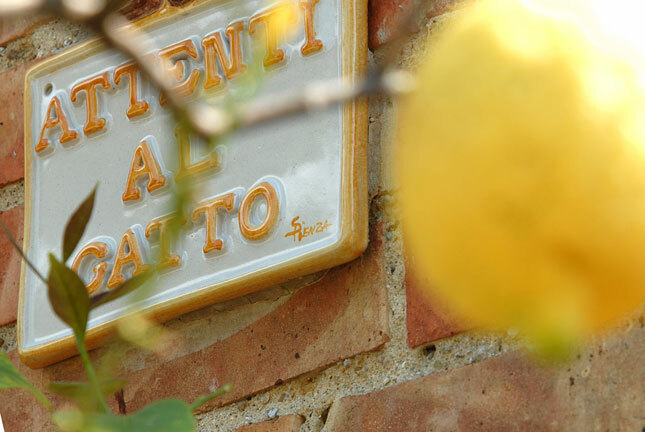 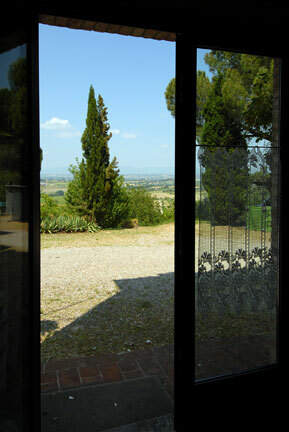 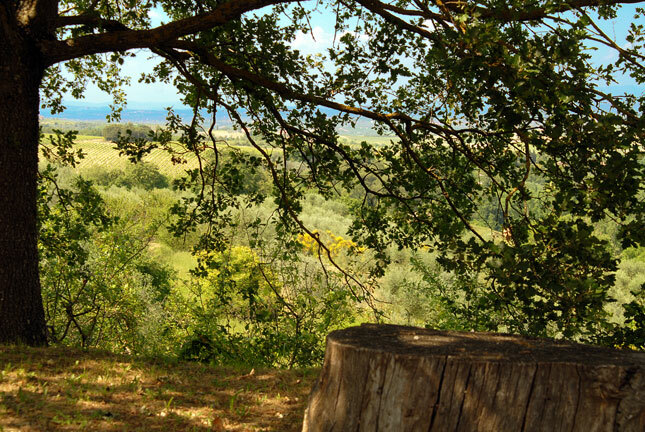 Guests at Il Molino can dine in the quiet private garden with its view over the Tuscan countryside.